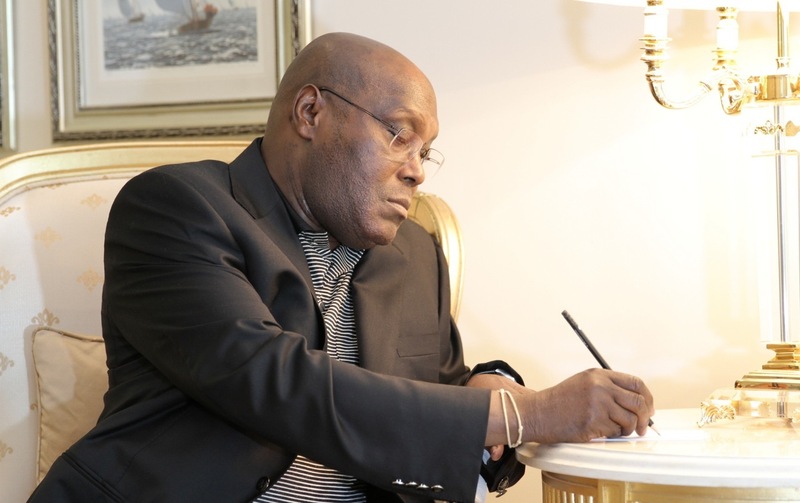 Former Vice President Atiku Abubakar, the presidential candidate of the Peoples Democratic Party (PDP), has re-affirmed his position to restructure Nigeria if he is elected on February 16. “If you (masses) elect PDP and Atiku into office; I will restructure Niger Delta and all other parts of the country. We must restructure the country,” Atiku said while speaking to supporters at the PDP presidential campaign rally held at the Adokiye Amiesimaka Stadium in Port Harcourt, the capital of Rivers State. “It has not been completed because we did not vote PDP to continue in power in 2015. The project has been haunted till today. We are going to complete it, if voted into power,” he added. Atiku said that despite being the economic hub of Nigeria, the Niger-Delta region has been abandoned since 2015. He further promised that his administration would complete the dredging of the old Port Harcourt and Onne sea ports. According to Mr. Jonathan, nepotism, divisiveness, discrimination, factionalism, favouritism, sectionalism and killings had become prevalent in Nigeria. “If your son or daughter is qualified to become Inspector-General of Police and Chief of Army Staff, he or she will be appointed. No one will be discriminated. Atiku will lead Nigeria forward,” Ex-President Jonathan said. Also speaking at the event, Senate President Bukola Saraki, the Director-General of the Atiku Presidential Campaign, noted that Atiku has the necessary experience required to take the country to the next level. “There is poverty in the land and Nigerians are tired of poverty. The people want a man who can bring economic prosperity and that man is Atiku,” Saraki said. Prince Uche Secondus, the National Chairman of the PDP, in his statement expressed confidence that Atiku would win some states in the North-West. According to Secondus, Atiku would win, Jigawa, Kebbi, Kaduna, Kano, Sokoto and Zamfara States. “If you want a president that will work for 24 hours daily, a president with capacity and energy and a president who will be in charge and take responsibility, then vote Atiku,” he said.